Every woman needs an elegant dress. That something special you can wear on a date night, evening dinner party or fancy affair. I think it’s a great investment if you can find a dress that can work during any special occasion and is a comfortable fit. Sometimes the colour can be the draw. 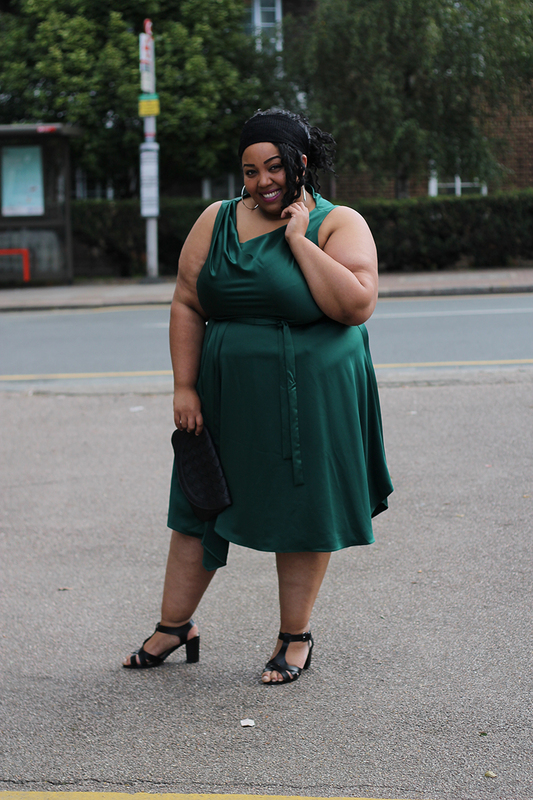 When I first saw this forest green midi dress from Coast I knew it would be a great one to have. We all need an option that works when you want to wear something comfortable but not too understated. 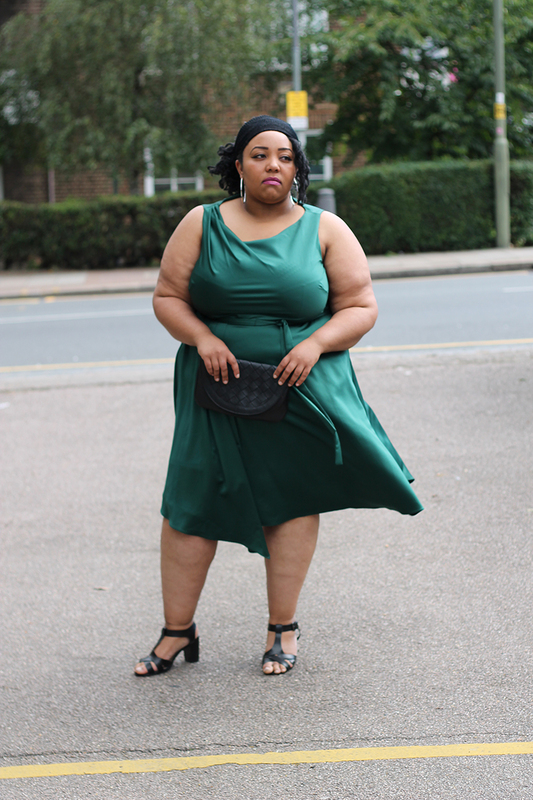 The silky fabric of this dress skims the curves really nicely. It’s the time of year when the party season begins. Halloween, Christmas and New Years. A great dress is definitely going to be needed! Coming out of summer and leading into autumn is the time when rich colours are great to wear. 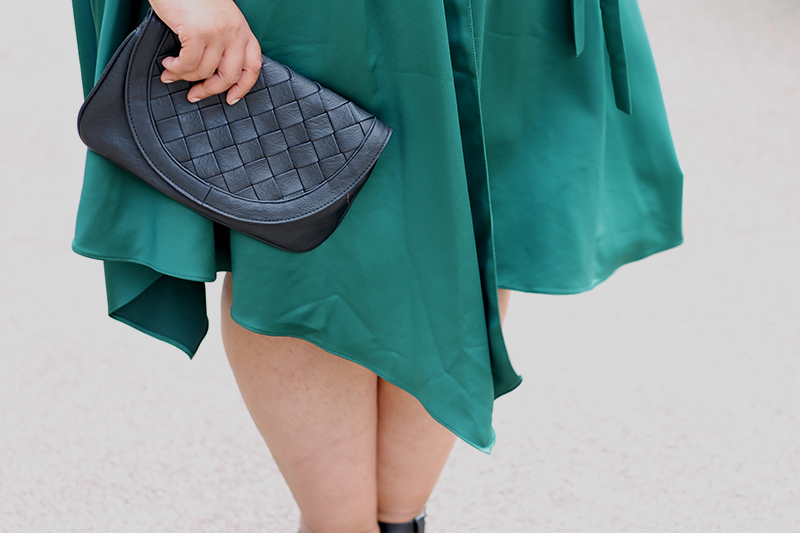 Forest green is perfect all year round. As you can see from these photos when the light hits the fabric the colour is just gorgeous. Cooler days makes this one nice to wear with a cute jacket, different shoes and accessories. I chose to wear this one with black sandals and a clutch bag as more of a simple look. I basically wanted to let the dress do the talking for me. The length is really nice and the jagged hem line makes the design have something else. This would be a perfect one to wear at a wedding or special event. 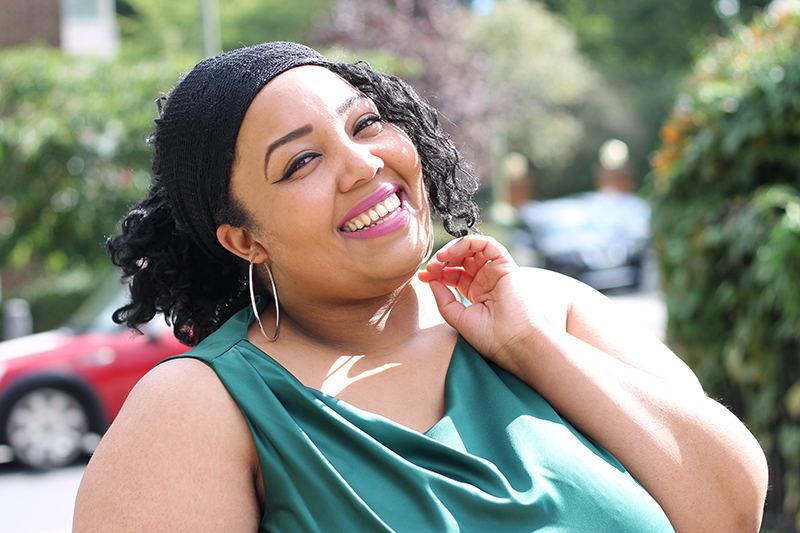 I decided to select a shade of pink lipstick to compliment the forest green colour whilst keeping my makeup simple. The next time I wear this I may well switch things up a little, different shoes to fight the cold weather for example. 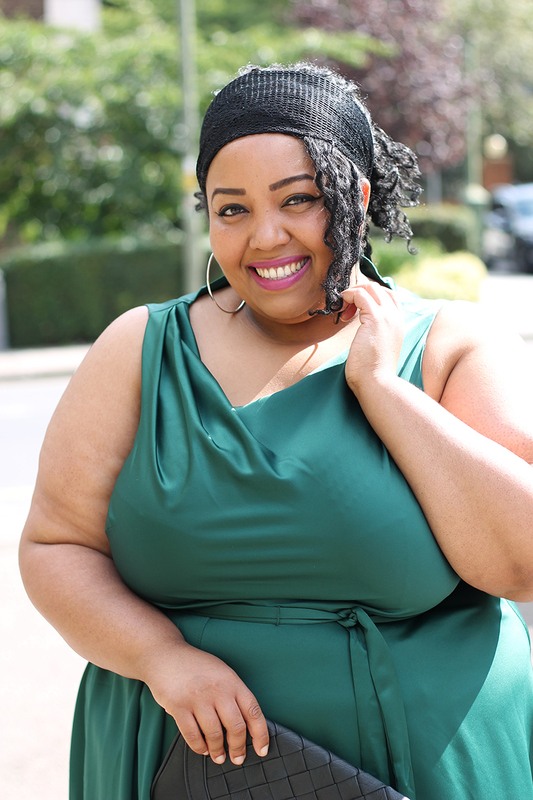 Coast have many amazing items that would be perfect if you wish to make a statement on a special day, take a look at their site to see the options in both standard and plussize be sure to check them out. That dress it absolutely beautiful. I love the emerald green colour of it, it really suits you! I wonder if I could pull it off myself hmm. 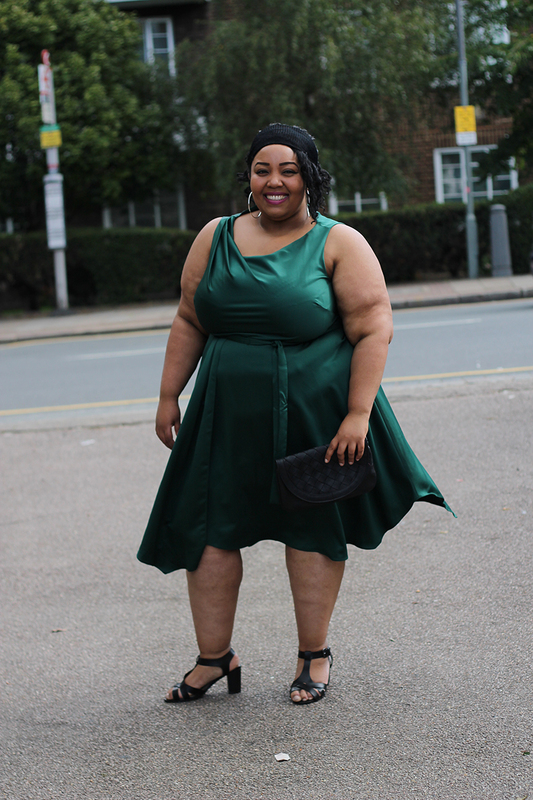 This is a gorgeous dress and such a great colour too, love how you’ve styled it. That is my favourite ever colour of green, and the cut and style of that dress is perfect! It looks fab on you! Beautiful dress, the colour is perfect on you! !